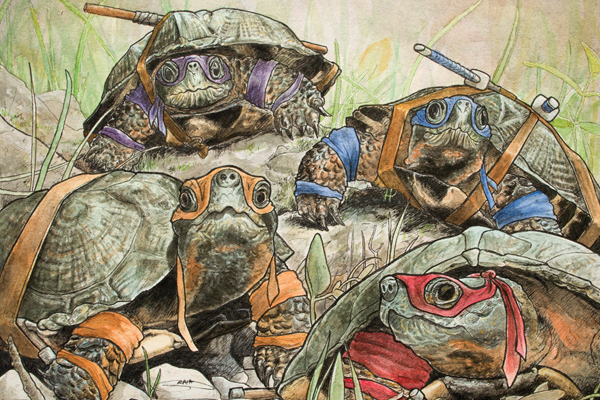 This serenely menacing print of the Teenage (Mutant) Ninja Turtles will have you questioning origin stories. This print of the original ink and watercolour on paper is beautifully printed on 12pt card stock to bring out the richness of the colours. A generous white border accommodates framing options.